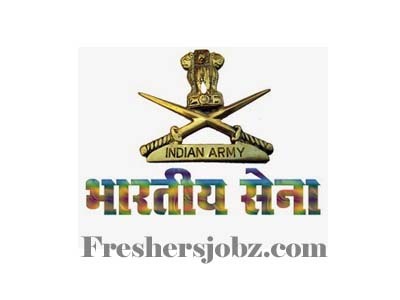 Indian Army Notification 2019.Indian Army has released a notification for the recruitment of unmarried Male Engineering Graduates for 130th Technical Graduate Course (commencing in Jan 2020 at Indian Military Academy (IMA), Dehradun) for permanent commission.Check the eligiblity and notification prior to apply for the positions. Disciplines: Civil, Architecture, Mechanical, Electrical / Electrical & Electronics, Computer Sc & Engg / Computer Technology/ Info Tech/ M. Sc Computer Sc, Electronics & Telecom/ Telecommunication/ Electronics & Comn/ Satellite Communication, Electronics, Metallurgical, Electronics & Instrumentation/ Instrumentation, Micro Electronics and Microwave. Qualification: Candidates who have passed the requisite Engineering Degree course or in the final year of Engineering Degree course are eligible to apply. Age limit: 20 to 27 years as on 01 Jan 2020. Selection Procedure: Short listing , Interview, Medical Examination. How to apply: Through Online only. Online application starting from: 10.04.2019. Last date for Online application: 09.05.2019.